Trends on business gifts and promotional products field are constantly changing. The perfect time for business gifts used to be around Christmas and New-year. In today’s era, more and more companies decide to reward their business partners during the year as they are discovering it has great benefits. Than you probably know how important choosing the right promotional gift is. How much are your business partners worth to your company? Probably a lot. With a small investment like a business gift you can strengthen your relationships with partners. With the right gift you will let them know you respect and appreciate them, while providing them with something useful. With gifts or promotional products you show your partners you care about them, moreover business gifts are the reflection of you and your company. Business gifts or promotional products should express your activities, values and properties. Recipient will subconsciously associate features of the gift with your company. Quality gifts will reflect your quality products, »eco« gift will show, that you are responsible towards nature, useful gift will show that your products are really useful too. In your plan on giving don’t forget your buyers. Buyers or potential buyers, that will get your promotional gift, will buy more and will more likely return back for more. Before they buy and with that you motivate them to become your buyers. Really profitable can be gifts with purchase. Gifts can be more attractive than other actions - like discounts. After purchase. If you are in the web or catalogue sales, you can send them gift with their package. Do you know when your costumers celebrate their birthday? If you are collecting this information as well you can send them something small on their birthday. Most of them will save the gift and use it and consequently will be in touch with your brand regularly. Regardless of the opportunity you money spend on business gift will be refunded. Gifting is really good for your sales. Mr. Robert Cialdini is a worldwide known professor of psychology and marketing guru. He exposes the 6 Principles of Persuasion and one of them is the Reciprocity Principle that says: In many social situations, we pay back what we received from others. When you give something first, people will feel a sense of indebtedness, which will make them more likely to comply with your subsequent requests. We’re deeply wired to be reciprocal. Think about it, how many times you buy the product that you tasted on degustation in your local market? Or you just feel like you should? The right chosen gift will make your company more recognizable and more profitable. Therefore choosing business gift for your company should not be left as a coincidence. Gift should reflect your values, field of work and activities. Your business gift should also be good quality and useful to the audience you are targeting. Moreover experts from PPAI organization who regularly performs researches in the field of promotional products proved that usability of the gift is the most important thing. 87% of recipients retain the gift for themselves and use it for more than a year. Are you looking for the perfect business gift for warmer months? 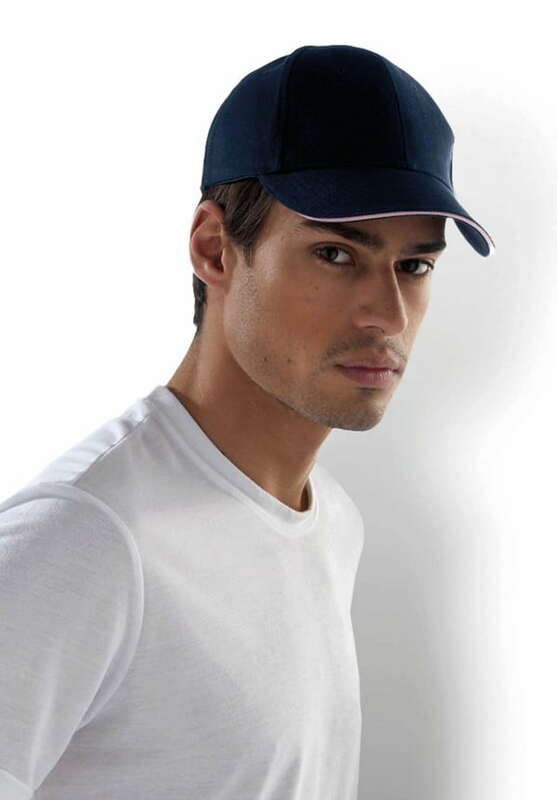 If you’re not sure which gift to choose - with quality summer hats or short polo and T-shirts you can’t miss. Both gifts are extremely useful. No one can have enough of them. Promotional T-shirts are perfect business gifts because of the large surface area that you have available to present your company logo and message. T-shirts and caps will be often used therefore they will significantly expand the visibility of your business. Everyone need T-shirts and caps, regardless of gender or age. Are you looking for the best selection of promotional T-shirts? Click the Promotional T-shirts and choose among the latest top selling shirts which come with excellent material and even greater price point. Click here to choose summer caps. Our favourite brands are Roly, Orlando Kariban and Action. Caps and T-shirts can be custom printed. If you are a company and frequently buy promotional gifts we have a good news for you. You can enroll in our VIP Club for free. You will receive extras like: personal guardian, discounted prices, priority treatment, access to stock of goods, special payment conditions, basic graphic design for free… For more information, click here.